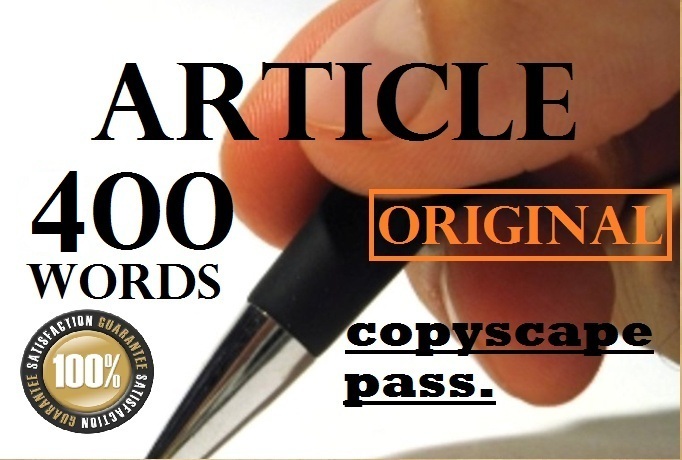 I will MANUALLY write An ORIGINAL 400 or 500 Word Blog Articles for only $5. I will write a 400 or 500 word of original content for your site on any topic you choose . I will do this within 48 hours only. My articles are Original, error free, grammatically correct and always pass COPYSCAPE. Satisfying my buyer is always my first priority. I Will Write or REWRITE A Copscape Pass Original 400 or 500 Word ARTICLE is ranked 5 out of 5. Based on 72 user reviews.